You dress impeccably during the day, why shouldn't you continue after dark? Buying and wearing beautiful nightwear is all about you turning relaxation into an occasion — taking the time to treat yourself to the downtime you deserve. This is how we approach the design of our trousers — endeavouring to bring back the subtle glamour of lounging at home in comfortable and beautiful sleepwear. In case you missed it: our women's trousers got a new shape recently: we have improved their fit, ensuring they are truer to their sizing, and made them a more flattering shape. The quality of construction has also been improved by using smaller stitching and self fabric drawstrings. 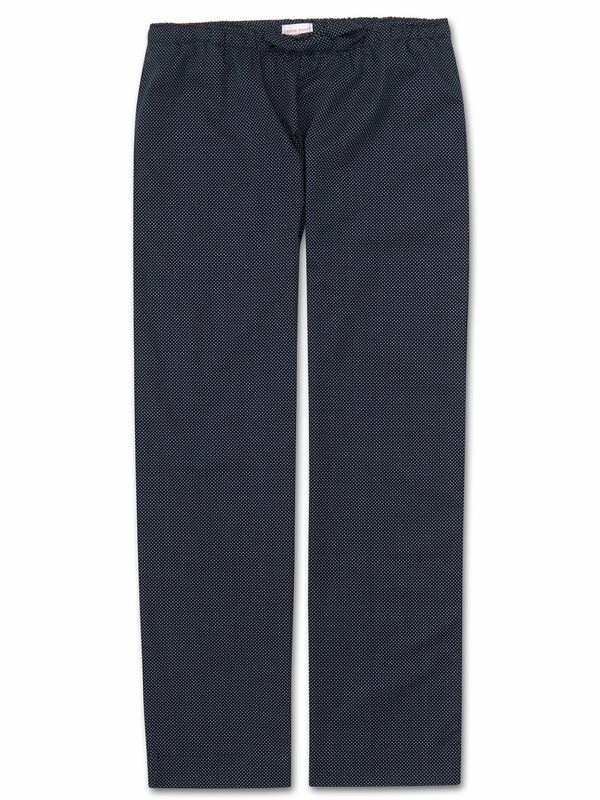 These considerations enhance the fine cotton batiste fabric used for our Plaza trousers.